We had purchased our first carpet cleaning truck in the the spring of 1986 and started the plans to open our own cleaning service. 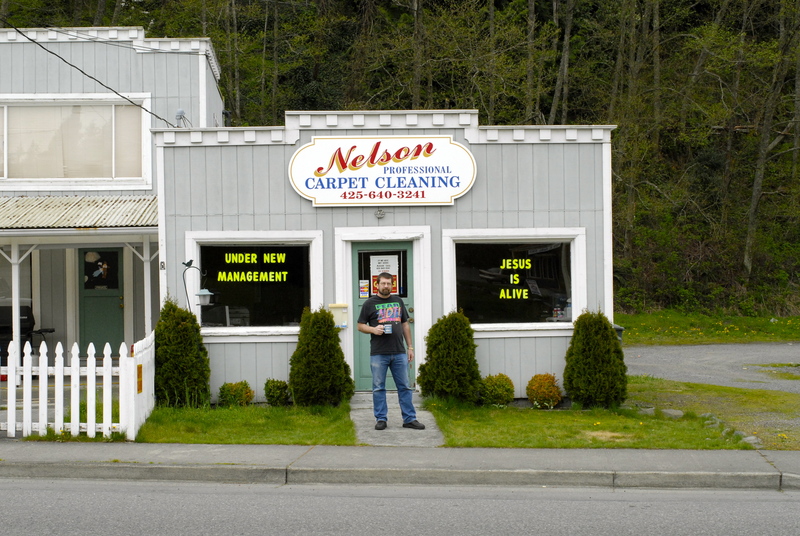 Shortly after we started Nelson Carpet Cleaning on Dec 1, 1986. Well in December with Jim's last paycheck and 200.00 in savings we took the plunge. We had some black and white business cards printed and off we went. Jim started passing out cards all over Ballard, Queen Anne, Magnolia and the U-district to small business owners. in 1998 we moved to our current location in the north Edmond's neighborhood of Perrinville. We have never looked back. Over the years we have changed our focus from small commercial cleaning to residential cleaning. Jim has spent the last 20 plus years honing his skills and perfecting his procedures. We are proud to say that we have never had to get other jobs to support ourselves or to act as subcontractors for larger cleaning companies- something that is common in the Mom/Pop cleaning sector.